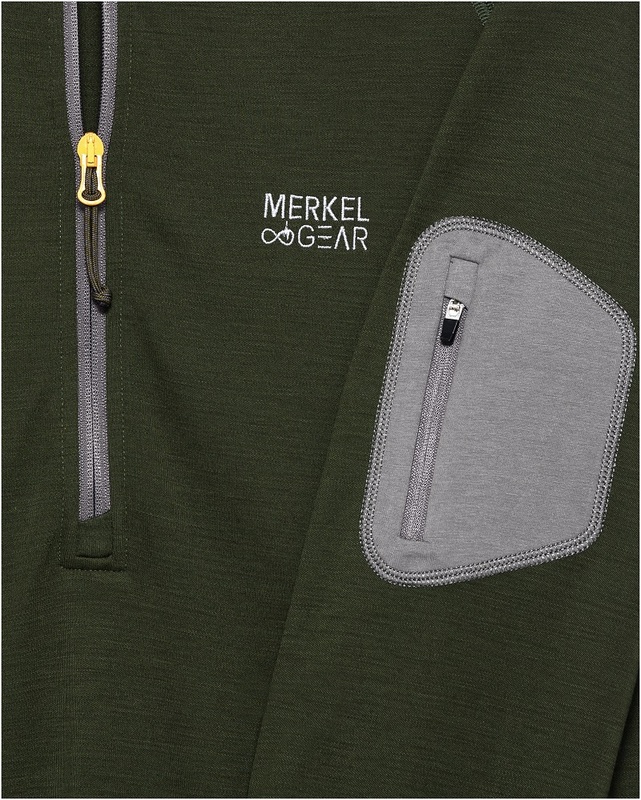 The Merino 37.5® CREW Shirt from MerkelGEAR is a true multi-talent and is a fundamental part of the Merkel GEAR layer system from the very beginning of the season until the very last foxhunt. 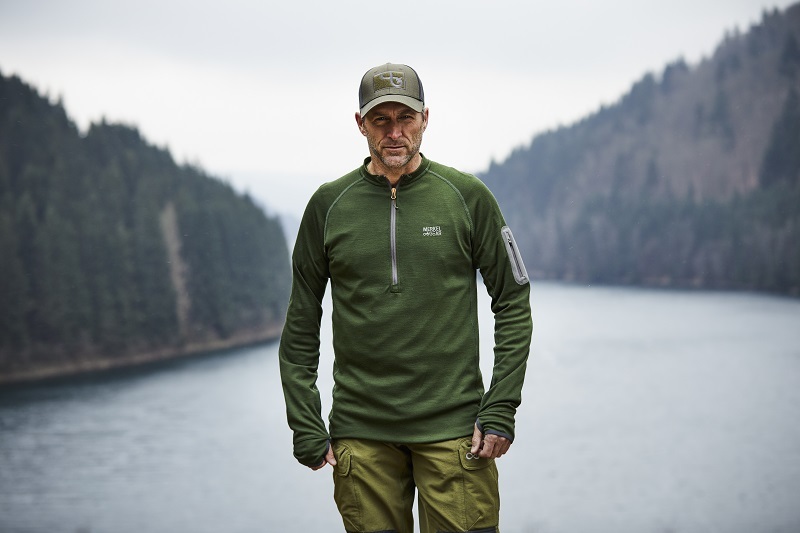 The robust, yet very soft and densely knitted merino wool from sustainable production – a total of 235g/m² – leads to an unequalled insulation and a perfect weight to warmth ratio. In addition, the 35% polyester is enriched with the active particle 37.5® technology. Not only does the 37.5 technology makes the shirt dry faster, it also wicks away moisture and traps your body’s energy. This is then returned to the wearer at a later moment (for example, when you’re getting cold it helps to warm you up)! The high merino wool content guarantees a fantastic wearing sensation. Worn over a Merino T-shirt, the long-sleeved shirt is a great substitute for a light jacket in the cooler evening hours. 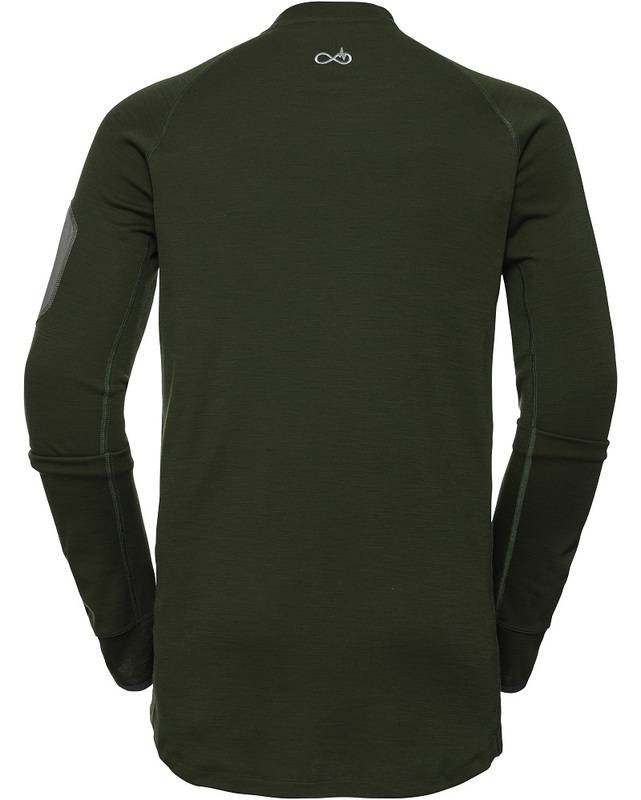 Like all pieces of the collection, this shirt is significantly longer in the back, so that your back is protected from drafts even when you are bending over or crouching. The fitted crew neck also protects from drafts. The 35cm (!) long YKK zip allows for quick ventilation in case the body is exposed to heavy stress. Soft thumbholes at the pre-shaped sleeve endings facilitate the adding or shedding of additional layers of clothing. A small, dark grey pocket on the left upper arm can hold a cleaning cloth for the hunting optics.